This Nautilus Tank is High Clone made, It is with high quality too no leak and good make. Please Notice it is not the Original Aspire but only High Clone . you have four options to adjust airflow to meet different requirements for vaping. With the option of different size air-ports,it allows the user to produce big clouds of vapor, with a pure and clean taste. With the Nautilus four-port system, you can now adjust how hard or soft the drag is,how warm or cold the vapor is, and how much vapor is produced. 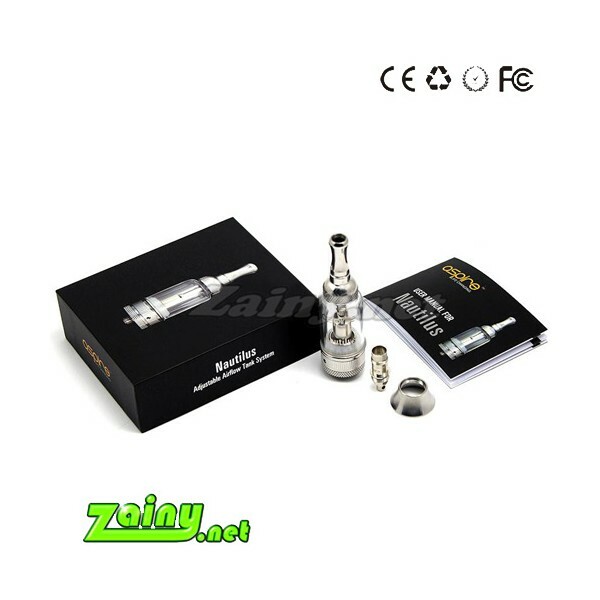 The Nautilus tank atomizer is also very easy to install and refill. This High clone Aspire Nautilus kit comes with the exactly same package as the Original Aspire tank.